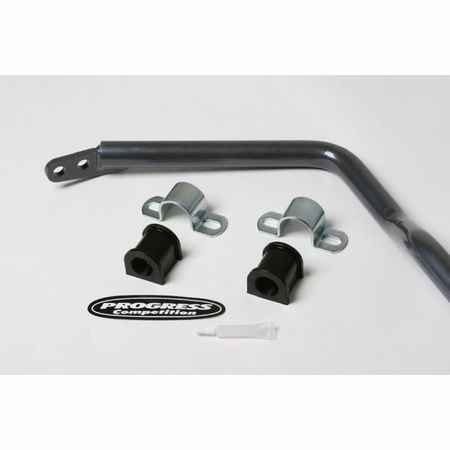 Progress anti-sway bars dramatically improve handling. How? They minimize the traction-robbing body "lean" that rolls part of the outside tires off the pavement. 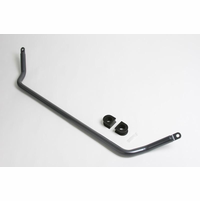 Our Sport-tuned Anti-sway bars replace skinny OEM bars and rubber bushings with larger diameter (stiffer) alloy steel bars and polyurethane bushings. More roll stiffness means less body "lean", and the tires stay flatter on the pavement (larger contact patches). The result is more grip and added driver control! 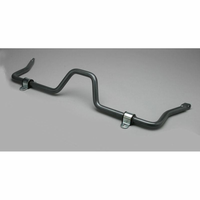 -Less body roll means more traction, faster cornering speeds, and increased driver confidence. -Polyurethane bushings produce crisp response on turn-in. 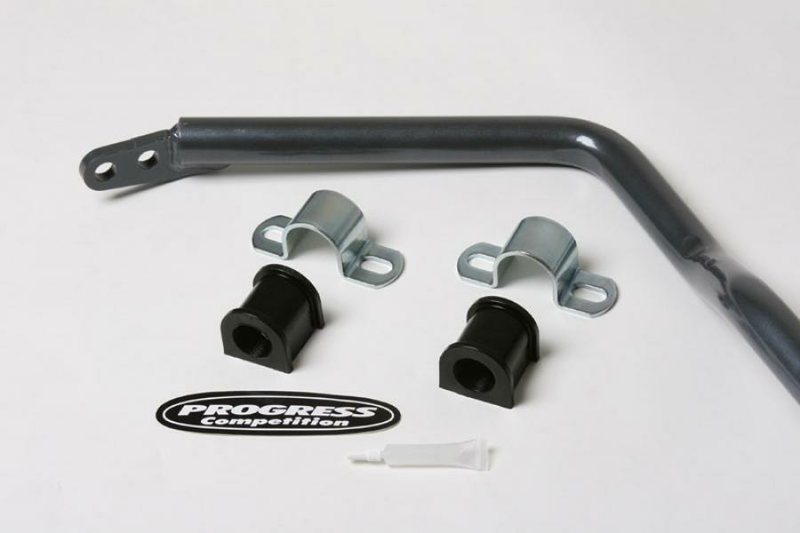 Progress Anti-sway bars are cold-formed in-house using our custom-built precision bending equipment. Both laser-cut and CNC bar ends are MIG welded in place using a precise fixture for an exact fit. 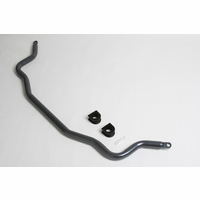 All sway bars are powdercoated metallic gray.